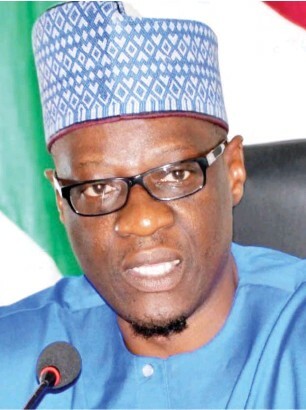 Kwara State Governor, Alhaji Abdulfatah Ahmed has disowned campaign posters circulating in parts of the state promoting him as the Kwara South Senatorial Candidate of the People’s Democratic Party (PDP). Governor Ahmed, who spoke via a statement by his Senior Special Assistant on Media and Communications, Dr Muyideen Akorede, described the posters as fake since they were not approved, sanctioned or sponsored by him as he was no longer the PDP Kwara South Senatorial candidate. Governor Ahmed stressed that he stands by his earlier decision to concede the PDP Kwara South Senatorial ticket to incumbent Senator Rafiu Ibrahim in the interest of equity and fairness. Alhaji Ahmed added that he subsequently formally withdrew from the Senatorial race in full compliance with the provisions and processes specified by the Electoral Act. On the basis of that decision, Alhaji Ahmed said he has since campaigned for Senator Ibrahim, the PDP’s Kwara South Senatorial candidate, and could therefore not have authorized the fake campaign posters. He accused the opposition All Progressive Candidate(APC) of masterminding the circulation of the fake posters in a futile attempt to cause confusion having realised that the PDP is poised for victory at all levels in the forthcoming general elections.